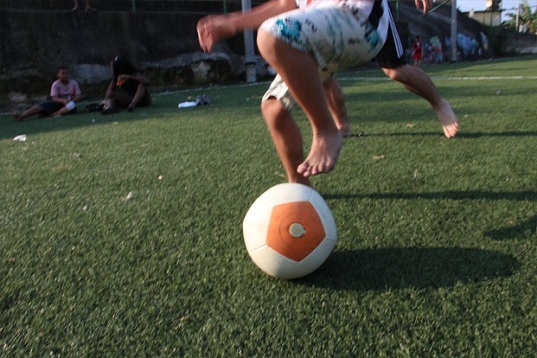 Soccket: Amazing Energy-Generating Soccer Ball Launches on Kickstarter! The kinetic energy-generating Soccket soccer ball produces power from play - and it's set to bring energy to off-grid locations around the world! After a year of building prototypes and conducting pilot programs, Uncharted Play just launched the energy-harnessing soccer ball with a fresh new design and a Kickstarter campaign. 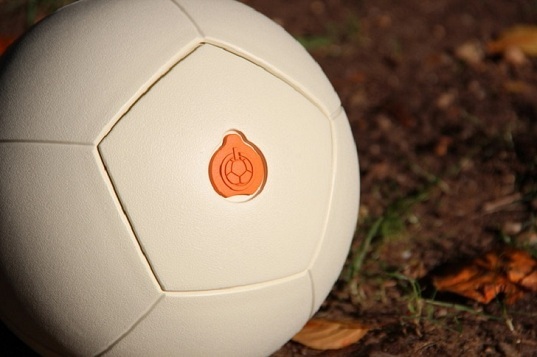 Developed by a group of Harvard alumni, the Soccket ball can generate three hours of electrical power from just 30 minutes of soccer play, and it offers an eco-friendly alternative to unsafe and unreliable energy sources often used in poor communities around the world. Designed and assembled in the U.S., Soccket uses Uncharted Play’s patent-pending mechanism that captures and stores the kinetic power generated through kicking the ball. The small pendulum inside the ball harnesses energy of the movement by turning a generator connected to a rechargeable battery. It is an off-grid power source made from specially designed water-resistant EVA foam that is both soft and deflation-proof. The energy captured in only 30 minutes of playing soccer can be used to power a small LED lamp for three hours. The Soccket was piloted in various low-income areas of North America and South America, bringing energy to those who need it the most. So far the production has been limited to a few hundred Sokkect balls per week, but the team recently launched a Kickstarter campaign in order to scale-up and purchase necessary equipment for the manufacturing processes and will be accepting pledges until 28 March. haha this project is so stupid… Kids play soccer together and then only one of them can *bring light home ? Please give those kids a small solar lamp, that will be cheaper, much more efficient and they will have nothing to do to get their light working at night (like that one http://wearethemarket.com/wp-content/uploads//2012/08/olafur-eliasson-little-sun-London.jpg). Designed and assembled in the U.S., Soccket uses Uncharted Play’s patent pending mechanism that captures and stores kinetic power generated through kicking the. The small pendulum inside the ball harnesses energy of the movement by turning a generator connected to a rechargeable battery. It is an off-grid power source made from specially designed water-resistant EVA foam that is both soft and deflation-proof. The energy captured in only 30 minutes of playing soccer can be used to power a small LED lamp for three hours. The Soccket was piloted in various poor areas of North America and South America, bringing energy to those who need it the most. The team launched a Kickstarter campaign in order to scale-up and purchase necessary equipment for the manufacturing processes and will be accepting pledges until 28 March.